Product quality, peer reviews, price, and seller reputation—all these are important factors that consumers look out for when making a purchase decision. But when the competition is between brands that are equally effective in showcasing these attributes, marketers might have to step up their game a bit in order to stand out. In the food and beverage industry, for example, marketers need to rely on more than just the five senses to create marketing campaigns that resonate on a deeper level with their audiences. Sure, some go-to formulas have made brands big money (e.g., pizza ads showing the “cheese-pull” trick, fried chicken ads highlighting the sound of crispy chicken skin, and coffee ads signaling the sweet aroma of that cuppa joe)—but to stay in the game for long, marketers need to build stronger connections with their audiences and give them more reasons to stick around. How? By taking your product away from the spotlight and putting the deep-rooted interests of your consumers first. How exactly? By co-creating useful and relevant information with partner publishers and content creators. In short, through sponsored content. In the Philippines, food is a highly emotional subject—as it is often seen within the context of family and friends. It’s not just about what you eat; it’s where you eat and who you eat it with. In a lot of Filipino families, the most important interactions and conversations still happen during meal time. Remember the iconic “Karen” TV ad by McDonald’s that aired in the early 2000’s? You probably still remember Karen, her grandfather who kept calling her Gina, and how the whole story made you feel. 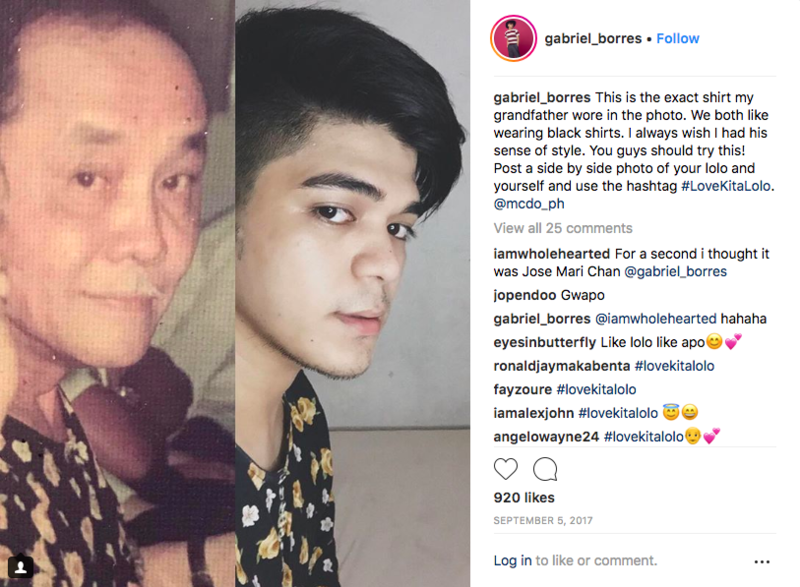 By appealing to the soft spot Filipinos hold for our grandparents, McDonald’s was able to plant itself in the hearts and minds of its customers. To sustain the same level of emotional connection through traditional advertising would be too costly for most brands, which is why marketers have to allocate their budget to more cost-efficient campaigns. McDonald’s whipped out its emotional storytelling playbook again recently, this time not on TV but through sponsored content. 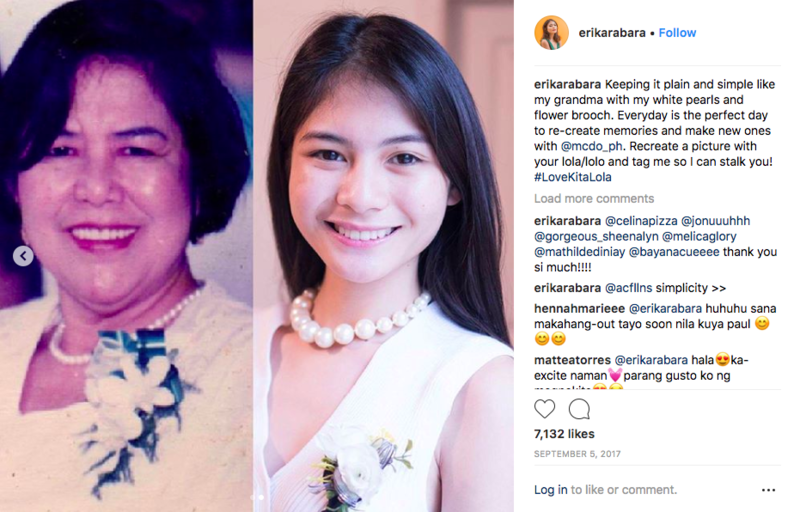 On Grandparents’ Day in September 2017, they asked influencers to share personal stories about their grandparents and encourage people online to post their own stories using the hashtags #LoveKitaLolo and #LoveKitaLola. The campaign reached a total of 300,000 people online and hit some 50,000 engagements. These results show that storytelling technique McDonald’s used in “Karen” remains effective and, coupled with the fact that audiences can now build on stories told by brands through influencers, help spark authentic conversations related to your brand. Sometimes health benefits are what set you apart, giving you an opportunity to build high-impact conversations around your brand without being too hard-sell. For a sponsored content campaign it ran with GetCraft, Bear Brand Adult Plus harped on the product’s health benefits but also took it a notch higher by talking about it within the context of a slightly controversial issue. Bear Brand decided to reach millennials by hinting at negative perceptions around their productivity in the workplace. Acknowledging that the issue is a bit touchy, however, the brand sought the help of credible publishers who also talked about how B Vitamins and Vitamin C, both found in Bear Brand Adult Plus, can help increase workplace productivity. The articles on Inquirer.net, ABS-CBN Online, When in Manila, and 8list were shared some 4,500 times on social media and reached more than 1.7 million readers. Seasons are also ways for you to talk about your product or brand, keeping in mind that with different seasons come different cravings. In the same way that “ramen weather” is a thing, certain kinds of food and drinks are also in higher demand in certain seasons. You can capitalize on this if your product is something people crave during a particular time of the year. The Philippines is a tropical country. The summers are really hot, which means that cool, refreshing drinks are not only craved, but needed. In the summer, people are in search of food, activities, and places that can help them beat the sweltering heat. C2 Green Tea took advantage of their brand’s relevance to the season to build brand equity. The brand worked with partner publishers on the GetCraft network, including 8List, Spot, and ABS-CBN to create summer-themed sponsored content that solidified C2’s position as a summer staple, and at the same time unveil its new bold and summery look. The campaign got a total of 50,240 unique page views, higher than the target views of 31,000. These successful food and beverage campaigns prove that it doesn’t always have to be about the food. Your campaign’s message doesn’t always have to revolve around what the food looks, sounds, smells, or even tastes like. Instead, it can be about the ways in which your product touches the lives of consumers, about how it improves their existence in any way. But not all brands have enough audience affinity to talk about emotionally stimulating or even provocative themes. If Bear Brand itself talked about millennials being tagged the “lazy generation,” would the campaign have worked? Probably not. They successfully did it by having Inquirer.net, ABS-CBN Online, When in Manila and 8list talk about the issue. Sponsored content presents numerous opportunities for brands to run food and beverage campaigns around themes that resonate with their audience. Research also shows that consumers are more likely to listen to publishers or influencers they trust, rather than the brand itself, because of high authenticity and credibility. It’s crucial, of course, for you to choose the right publishers and influencers who can help you achieve your brand objectives. Our platform allows you to connect with more than 5,000 talented content creators you can work with on your next food and beverage campaigns.